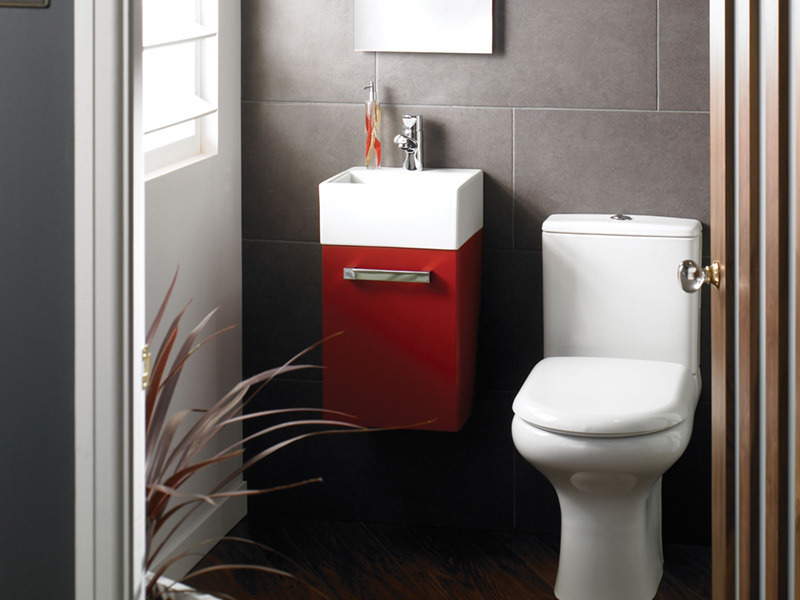 Mini Brisa is a compact hinged door cabinet featuring a square ceramic basin. Shown here in Red Silk with handle no. 624.